Company tries to upgrade to .com using reverse domain name hijacking. 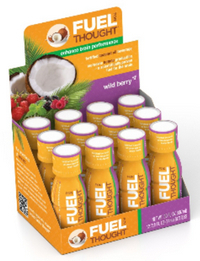 Cognate Nutritionals, Inc, maker of a coconut oil supplement called Fuel for Thought, has been found guilty of reverse domain name hijacking. The company, which uses the domain name FuelForThought.co, filed a cybersquatting complaint with National Arbitration Forum over the domain name FuelForThought.com. The current owner of the domain name acquired it in 2007. Cognate Nutritionals filed an intent-to-use trademark application in 2011. In other words, it was impossible for the domain name owner to have registered it in bad faith with Cognate in mind. A three-person panel didn’t even consider the issue of bad faith, considering the date in the context of rights or legitimate interests. The domain name was parked with ads related to “fuel for thought”, so the panel determined the owner had rights or legitimate interests in the domain. In this case, Complainant not only acknowledges that it obtained its trademark registration years after the disputed domain name was registered, but fails to make any argument that it might have secured common law rights in its mark prior to Respondent’s acquisition of that name. Moreover, the mark itself is not distinctive, but is composed of a common descriptive phrase. Finally, Complainant has furnished the Panel little evidence bearing upon the scope and prominence of the trademark at issue, effectively negating any basis upon which the Panel might conclude that anyone, including Respondent, is out to infringe upon the mark. The complainant was represented by Karin A. Gregory. John Berryhill represented the respondent. Do clients demand a refund of their attorneys fees, or should they, when their attorneys representation lands them with a Reverse Domain Name Hijacker stigma? I’d like to hear that conversation. Not winning is one thing. No sane attorney promises that. But I don’t know how one explains RDNH to their client.